Deluxe Low Profile Insignia Caps. 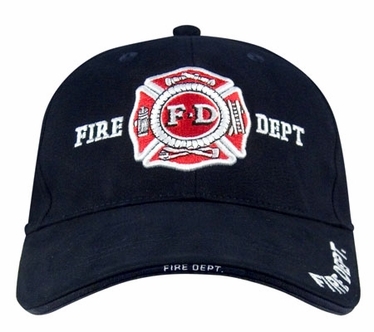 Comfortable 100% brushed cotton twill with raised 3-D embroidered insignia on the front panel and brim. Also includes sandwich bill and back strap insignia. Adjustable hook and loop closure.